Have you started your Christmas shopping yet? It can be tricky thinking of just the right gifts for friends and family at this time of year – and some people are just impossible to buy for. So that’s why we got thinking here at Scottish Friendly. As a special Christmas treat, we are giving away a different prize every day from December 1st – 24th. Take out one of our products today and get automatic entry into all 24 of our Christmas prize draws. We have some fantastic prizes lined up, and will be revealing these on our Christmas page here. You can also access the full competition terms and conditions from this page. 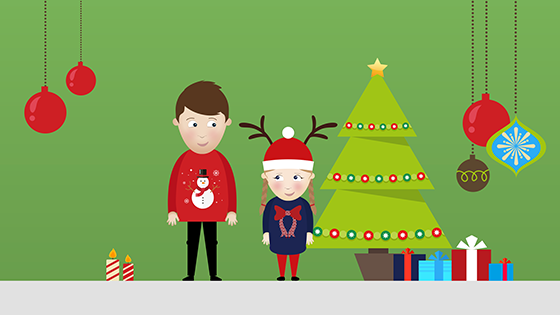 So you could treat yourself by putting something away for the future – and also be in with a chance of winning a fantastic prize which could really make a loved one’s Christmas that extra bit special. On Black Friday 2015, for one day only, anyone who takes out a Scottish Friendly plan will be entered into every prize draw in December. So that’s 24 chances to win! And you won’t need to queue outside your local supermarket in the snow, be wrestled to the ground by a security guard or be involved in a mass brawl with irate housewives to be in with a chance of winning some great prizes.